"I am a dentist because I enjoy building lifelong relationships with my patients and helping them with their needs. My job brings me great joy, and one of the richest rewards is seeing my patients' lives improve with quality dental care." Please learn more about Dr. Burr's commitment to patient-focused care! 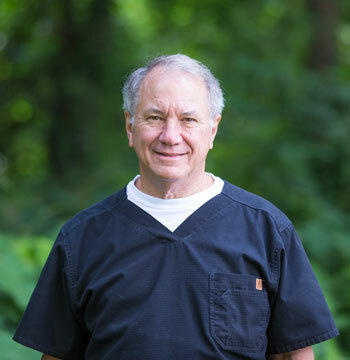 Dr. Tigner Culpepper started his Greenville, SC dental office in 1977. Today, he continues his lifelong commitment to serving generations of friends and neighbors with the best that dentistry has to offer. Please learn more about Dr. Culpepper! Dr. Culpeper and his assistants are a pleasure to be with. They take the time to get to know you and are quick to joke around with you. I like that, rather than feeling like I'm on an assembly line (get em in-get em out) and nothing but a hand sticking out at the end wanting money. My family has been with his office for years. Sweet and Caring. We love his work and the respect you get when you are in pain. Telling the world to come here. I’ve been a patient at this office since childhood and there’s no other place in Greenville County I’d go. They make sure each procedure is painless and efficient, and they treat you like family. Absolutely best front line personnel, hygienist and support staff I have ever experienced. Cash discount given which rarely occurs in other offices. Absolutely as pain free as could ever be asked for. Best quality work in all areas too. Great experience, every time! Full service dentistry. I have been a client for many years. Reliable, professional, wonderful. I've been going to this dental office for years. The practice is Under New Management. They still continue the great service as they did before. I would recommend Conestee Family Dental to anyone. At Conestee Family Dental, we are pleased to provide a wide range of comprehensive services and flexible financing alternatives that put dental care easily within your reach. Our Dental Membership Plan offers complimentary cleanings and exams and discounts on all services. Please click below for more details about the plan and the benefits it offers! Don't let missing teeth ruin your smile! State-of-the-art dental implants may be the answer you need! Is there something about your smile that you'd like to change? 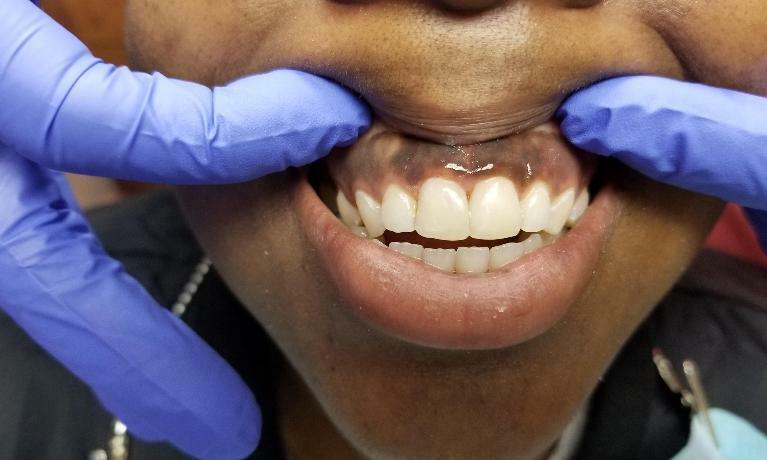 From teeth whitening to full smile makeovers, we do it all! Need a root canal? Don't worry! We'll provide you with the gentle, comfortable treatment you deserve! Welcome to Conestee Family Dental! Dr. Jared Burr and our entire team are pleased to provide patients in Greenville, Mauldin, Simpsonville, Piedmont, and the surrounding areas with high-quality, affordable dentistry that fits your family’s unique needs! In 1977, Dr. Tigner Culpepper opened the Donaldson Road office, and under his guidance, the practice has grown and seen several expansions since then. Recently, Greenville native Dr. Jared Burr purchased the practice, updated and remodeled the office, and rebranded to Conestee Family Dental. If you are an existing patient, you will be happy to know that you can still expect to see Dr. Culpepper’s smiling face at the office two to three days a week! You will notice some changes to the office, but one thing remains the same – our mission is to make high-quality dental care available to everyone by providing conservative solutions that fit your budget. We treat all patients with honesty and respect, and Dr. Burr will never try to talk you into a service you don’t want or need. At Conestee Family Dental, we are pleased to serve family members of all ages. Whether your little one is ready for their first appointment, you have a young adult who needs wisdom teeth extracted, or you’re a senior with age-specific concerns, we can help! Young children especially deserve a positive start with their oral health, and we know that the best way to help them trust us is to relate to them on their level. Each child has a unique personality, and we don't expect them to behave perfectly every time. But we will work with them so that they gradually come to trust us and see that dentistry is not a scary thing. Everyone is unique, so we customize your treatment to fit your specific needs. Our team takes time to develop long-lasting, trusting relationships so you can feel comfortable about calling us whenever you have a problem. Not everyone is proactive with their oral health, and if you haven’t been seeing a dentist regularly, please don’t hesitate to contact us. Your oral health is personal, and we will never lecture you or shame you, no matter what condition your teeth are in. Our only goal is to help you get back to a healthy, problem-free smile. At Conestee Family Dental, we accept almost all insurances and are in network with Delta Dental Premier. We don’t want you to spend a lot of time worrying about what your plan covers, so we will check your benefits and provide you with the best possible pre-treatment estimate so you know what to expect. Regardless of your insurance, we will be happy to file your claim on your behalf. If you aren’t insured, we offer an in-house dental membership plan that includes free cleanings and exams as well as discounts on services for a low annual fee. Interested in spreading out your payments over time? We can help you apply for an interest-free Wells Fargo Health Advantage Credit Card so you can make manageable monthly payments. 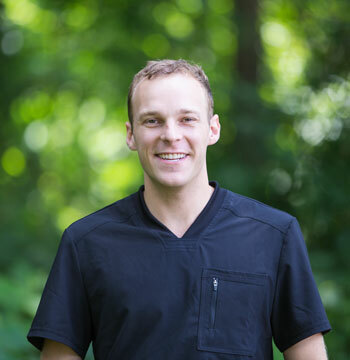 Greenville dentist Dr. Jared Burr and our team look forward to getting to know you, whether it’s your first visit with us or you’re a long-time patient. If you work at Lockheed Martin, Shaw Industries, or any other surrounding schools or businesses, you will find our office is conveniently located so you can arrange visits before or after work or even on your lunch hour! Please call Conestee Family Dental to get started!